Dogs and Cats and Horses, Oh My! 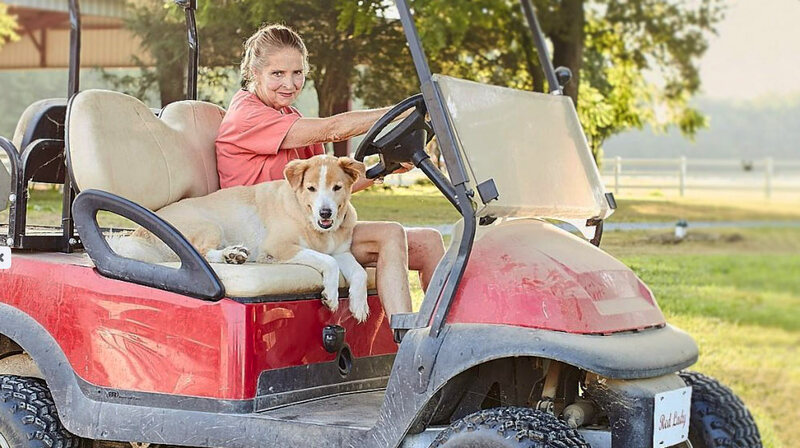 Wingmont Stables & Kennels has been in business for over four decades, and is committed to providing customers – and their furry friends – with the best customer service and care. Located on 74 acres, they specialize in boarding dogs, cats, and horses, and employ a staff of 15. Staff members rely on the DuraFon PRO to communicate with fellow employees and customers whether they are in the dog kennels, in a barn, or are lifeguarding pooches at the pool. A self-proclaimed “Bed and Biscuit” or “Doggie Play Camp,” Wingmont Stables & Kennels is not your average boarding facility. Ann Crowe, Founder, and President of Wingmont has built a thriving business catering to pets and their owners. The stables are currently home to 13 horses, and the kennels house anywhere from 60 to 100 vacationing dogs daily, depending on the season. Providing excellent care to so many four-legged guests requires a stellar team, an expansive property, multiple kennel buildings and barns, and an excellent phone system. Because staffers might be acres away from the base station, and each other, Wingmont needed long-range phones that would function across vast spaces in the Virginia countryside. That said, Wingmont needed something more than just a phone; they required the ability to broadcast, page, and transfer calls as well. Ann and her team also needed particularly durable handsets. When your day-to-day includes dirt, water, animal fur, and slobber, a standard phone handset just won’t cut it! Though Wingmont’s previous phone system provided decent coverage, it was not hardy enough to stand up to life on the farm. “The coverage wasn’t bad. The handsets just weren’t durable enough for this environment. The phones were not heavy duty, or encased in rubber,” stated Ms. Crowe. Wingmont opted to deploy the DuraFon PRO, and currently uses one base station with eight handsets. Incoming calls are answered by a receptionist who is responsible for line one via a desk phone. The second line is picked up by any other staff member with an EnGenius mobile handset. The DuraFon PRO is well-suited to life at Wingmont Stables & Kennels. With multi-mode communications, long-range coverage of up to 3,000 acres, and a ruggedized handset that resists both dust and water, it is a perfect match. The DuraFon PRO is also tested to withstand 6-foot drops over 50 times onto concrete, which comes in handy when an excited Golden Retriever knocks a handset out of your hand at mealtime. Every kennel worker carries a DuraFon handset. The phones are their faithful companions as they tend to guests. The mobile handsets enable the staff to be in constant contact with each other as they move in and out of the property’s many buildings, play fetch in exercise yards, or supervise canines splashing and swimming in the dog-dedicated pool. Wingmont management is delighted with the DuraFon PRO and would recommend it to others. Why are they such fans? Let’s count (some) of the ways, in the words of Owner Ann Crowe. The DuraFon PRO is truly an essential and valued tool at Wingmont Stables & Kennels. Learn more about how the DuraFon PRO can help boost your business!